With the EU Parliamentary elections just ten weeks away, Euronews is counting down by taking a road trip across the continent to speak to voters about the issues that matter to them. We are parking our red sofa in cities, towns and villages across Europe, inviting people to take a seat and talk about what's on their mind ahead of what is a key vote at a crucial moment for the European Union. 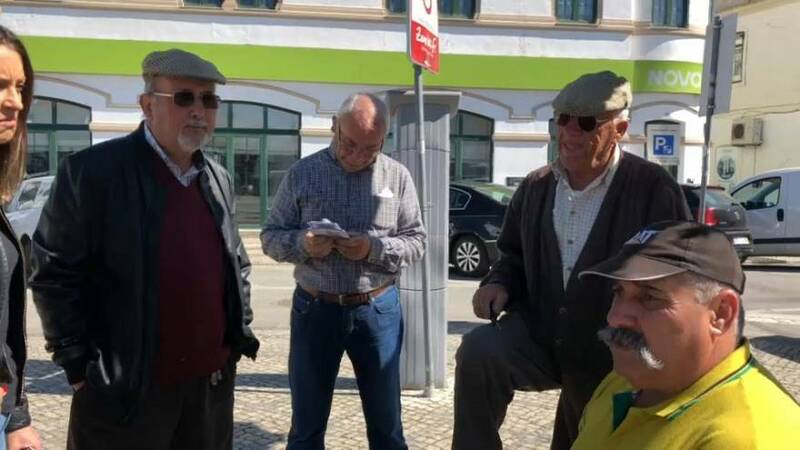 In Reguengos de Monsaraz, Anelise met with a group of men who reflected on the impact that the European Union has had on their lives. “They ended up with our currency and now we are worse off. This one is worse than ours was,” one man said. “We preferred the escudo, because with 50 escudos we would have lunch and dinner, and we’d still have money left. Now, with 50 euros we can’t do anything,” said another. A major problem faced by the village of Monsaraz, near Portugal’s border with Spain, is its residents moving away due to unemployment. In 2011, it had a population of 782, but it is ageing and faces a common issue among other countries in the South of Europe – interior migration.